Wants to make sure you have the best night! And of course won’t talk all night – It’s All about the music. Brilliant night, very responsive of our tastes, incredibly professional, thoroughly recommend David Lee. He made our wedding day and night very special, and has a strong understanding of music and people’s tastes. 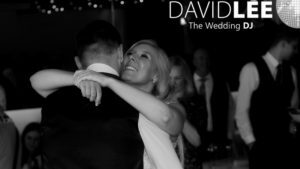 Why book David Lee – The Wedding DJ? No two wedding DJs are the same. I am not a ‘host’. I don’t waffle all night, I don’t think i’m a comedian and I don’t try to embarrass you or your guests. I am not a radio presenter talking all over in the intro & ending of every song. What I am about is the music! With my unique take on your playlist, taking requests on the night, and my ethos of letting the music flow, I know that I can make your wedding day the memorable event and party you want. All my clients are given their own personal on-line wedding planner, which allows you among other things to build your own perosnal playlist. You also have forms to give me guidance around the type of music and artists you want and don’t want. The idea being the more information you give me, the more I can tailor the music around you and your tastes. Less Filla more Killa. All my equipment is regularly checked, updated and replaced. I am a fully self contained Disco / DJ – I just need space & power. I always carry back-up equipment as well. This means not only is my sound top quality and lighting computer controlled, and should anything major happen (unlikely as it’s new & loved) I will have back-up to keep the party going. 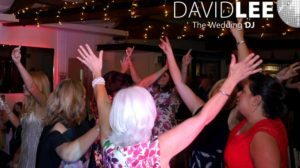 One of the most important parts of the day for us was that everyone partied the night away and David certainly delivered! From the start of the process he was so helpful and the online system he provides really helps you to plan the perfect playlist. I always try to let the music flow. Playing one genre or era then moving on within your playlist or requests & guidelines. I like to think I’m painting by songs. I have plenty of experiance so I’m happy to work with just a handful of your songs, add some of what I think you’ll love, and take song request on the night. Or an you can supply an extensive playlist and i’ll just add a few if needed. I am also just as happy having a jumping dance floor to party classics as I am to hands in the air to an extensive Indie or Dance Set. I am not afraid to play Heavy metal / Thrash / Pop Punk if that’s your thing either. If it’s good music it’s good music. Weather I listen to anything in my private life is irrelevant, I know a floor filler when I hear one, and it’s my job to play it when it will work best. A lot of my couples ask for ‘No Cheese’ and that’s fine. You don’t want party line dance routine songs or mega-mix no problem. But on the other hand, you, your friends and family are cheese through and through, then don’t sweat it either. As mentioned with over 20+yrs of experiance and I’ve been taking personalised playlists for 12+ years now, I have the ability and experiance to tailor the music to you. Weather that’s specific songs, genres or around your general guidelines! I just love good music, and I’m passionate about it. 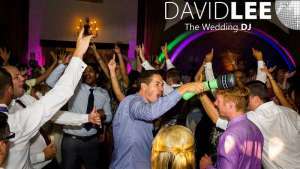 Wow David Lee, you got Stephen and I so well with the music at our wedding. You took time to get to know us and our music taste which I feel helped you to produce such an amazing evening. My office is in Oldham, which means I am right on the edge of Greater Manchester, Lancashire, Cheshire, Derbyshire and West Yorkshire Borders. Which basically means I am local / near to the whole of the North West. But, have van, will travel. 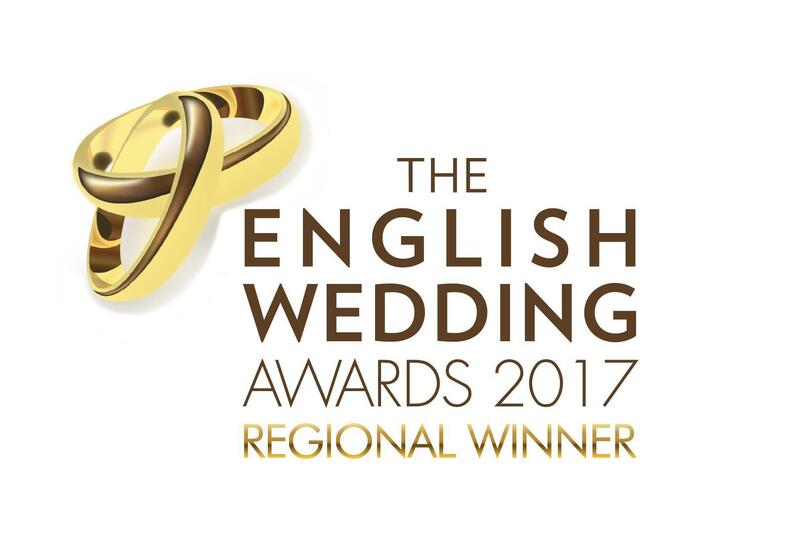 I am more than happy to travel across the UK to where you are holding your wedding. So if you like the sound of me as your Wedding DJ, do not be put off by me having to drive a few miles, I’m not. I am prepared and happy to travel to your wedding venue where ever it may be. That’s the million dollar question isn’t it. Well actually it isn’t, most of my customers are interested in the service 1st. They want to know I will cater for them and their guests and play what they want. They want to know why they should book me. Then they want to know the cost of having the Wedding DJ who satisfy their musical desires. With prices starting from as little as £495, for a full evening Disco & DJ Service (7pm upto 1am) I think that I am fairly competitively priced. You get a full time DJ who’s sole purpose is to give you the music & party you want. No drama, no ego and is flexible. Happy to help, liaise and advise. And i’m always happy to listen to your ideas, answer the phone & email as soon as possible. Contracts, online planner, playlist builder and back-up equipment for complete peace of mind! For your own free personalised quote, and to see what and why I offer what I do, please do not hesitate to get in touch to arrange a no hassle chat. I’ll leave you with a free demo of the planner, AND I’ll hold your date for a further 7 days after. No ‘salesy stuff’ honest. Remember with over 20 yrs experiance of being a DJ, that’s a lot weddings, an awful lot of parties, and a hell of a lot of music! 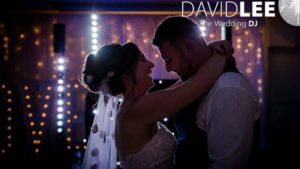 If you have any further questions about my Wedding DJ & lighting services, or if you would like to arrange a no hassle, free consultation to discuss your ideas & musical preferences, then please do not hesitate to get in touch. There is a very short contact form to fill in at the bottom of each page. Once you’ve sent that off, I will get back to you A.S.A.P. but that can be 24/48hrs over weekends. I can always arrange a meeting at my office, your home, Skype, Phone or over a cuppa in your favourite coffee house. Phone me on 07881941476 for any questions or to check availability. I really do look forward to hearing from you. 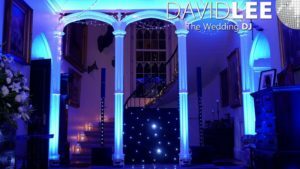 Manchester & North West Wedding DJ & Lighting Services for your Special day. Hi David! We cannot thank you enough for making the evening of our wedding so special! 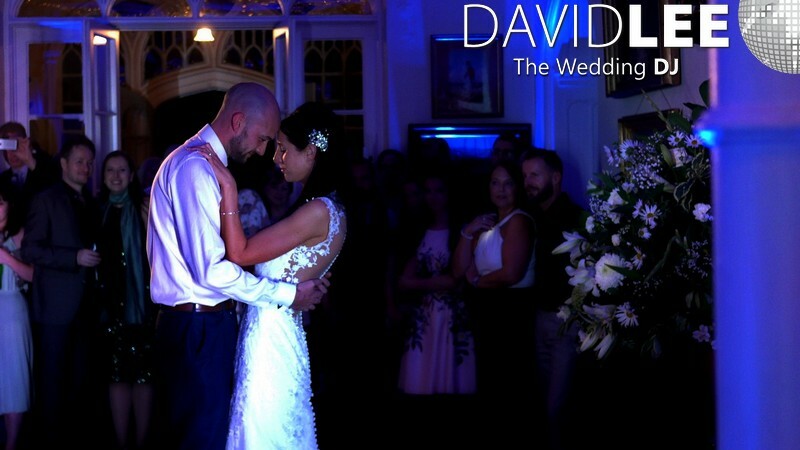 The music was perfect and exactly what we asked for and communication from start to finish was just so reassuring and made the stress of planning a wedding so much easier. 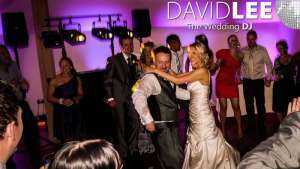 Would highly recommend to anyone that is wanting a stress free and top quality DJ for their special day. *All customer review on this page are taken directly from my Google Review section. Please click the link to read these reviews in full and more. There are also more reviews and testimonies on my website here Reviews and on my Facebook page here . Note: Header picture was taken by the always awesome Steve Grogan Photography. Check out his website if you haven’t got your photographer sorted yet, CAN’T RECOMMEND HIM ENOUGH! Tameside, Greater Manchester, Cheshire, Lancashire. 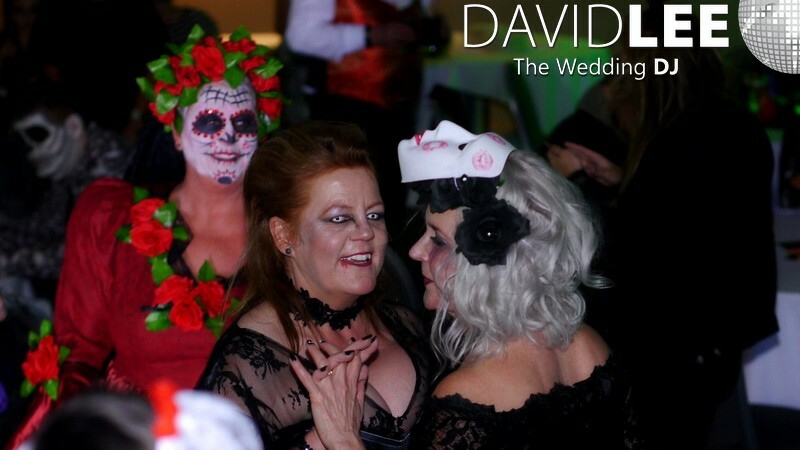 North West Award Winning Wedding DJ David Lee. Your 1st Call For Your 1st Dance.